The fresh bouncer himself, Chris Bohm finished up in 8th place in the finals. Having a tough time in the heat, nevertheless managed some clean time machines on the pedals, and hook spins for good measure. 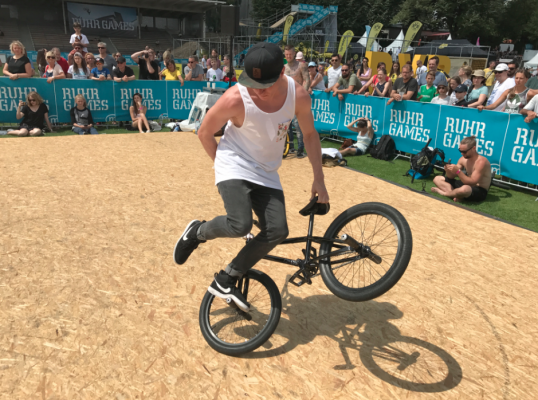 Contests sometimes spring surprises and Dez Maarsen was certainly a surprise to see in 7th place after killing it in the two previous rounds. After the contest, Dez was saying he doesn’t like riding at the hottest part of the day (do any of us?). 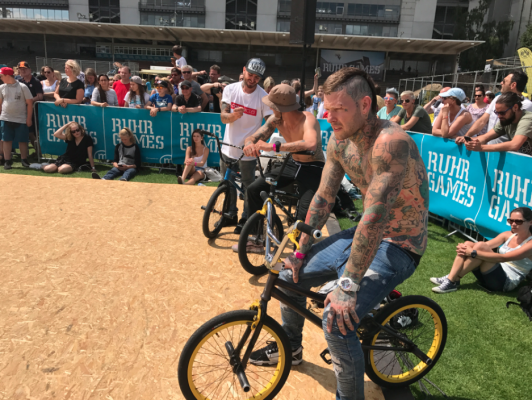 And a few too many touches and crashes kept him in 7th place, I expect to see him bounce back at the BMX Cologne contest in a few weeks time. Dan Hennig and Dustyn Alt battled it out for the 5th and 6th place spots with Dan taking the 6th place spot with some nice pedal steam body varial to x-ft steam in signature Hennig style. 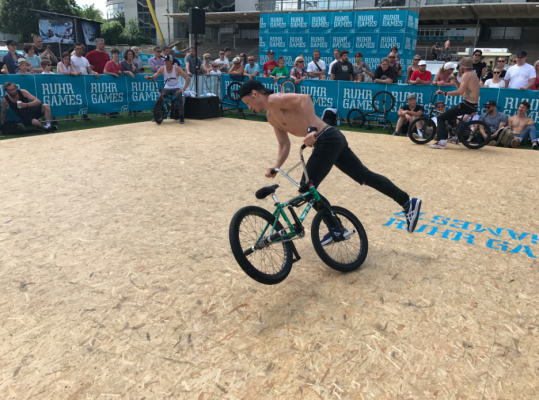 Dan tried a few new moves in the final, but wasn’t able to throw them down as clean as he would have liked. Dustyn Alt is having a good year, currently ranked 5th in the World Circuit. 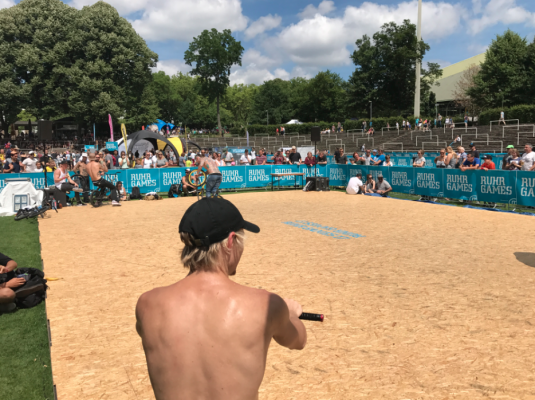 Dustyn improved on his 8th place semi final run with a respectable 5th place, nailing his signature blind side saturn spin combo to xft pedal time machine out and a whole lot more! The top 3 were a level up, anyone would take it! Alex Jumelin’s second run was fire, one of the best I have seen from him. All his signature moves nailed back to back. With one mistake, which he landed second try. One a half backwards flail to fire hydrant. Much respect to Alex who is now considered a contest veteran, but is riding at the top level. Amazing! 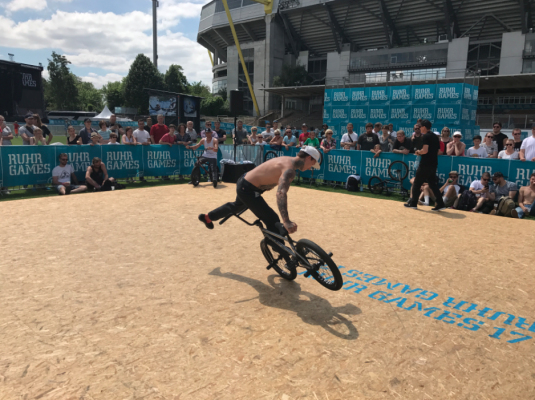 Second place went to Dominik Nekolny who like Alex had a one touch run, all on board a new 19.3 Autum Bikes set up which he already looked more comfortable on. Im still amazed at Dom’s control on his xft hitch backwards backpacker xft hitch juggler combos, he likes like he’s off the bike and just continues. You may also notice that despite having two brakes, a lot of times he’s not actually using them. It was so tight between Alex and Dom, just a point. Respect due! 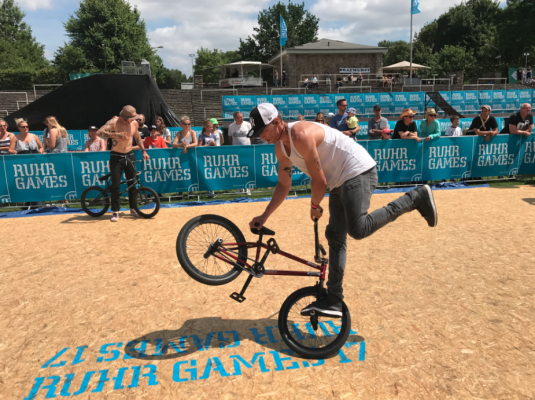 And the top spot went to none other than Matthias Dandois, who rode flawless for the entire finals but it was his second run here at the Ruhr Games that really lit up the finals! 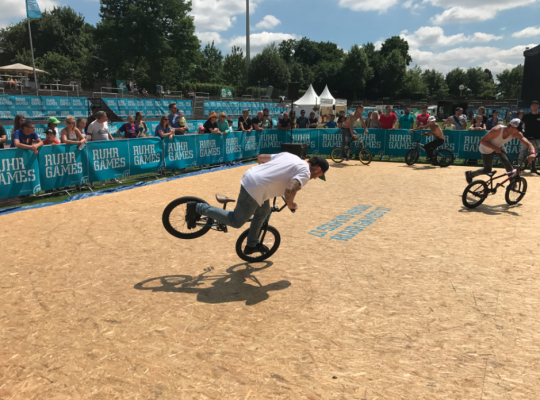 One of his back wheel combos in particular just kept going, I will posting the runs starting with Matthias’ from tomorrow morning. Congratulations to Matthias, Dominik, Alex and all the finalists. Mike S for the great job organising, MC Andy Menz killing it on the mic, Frank Lucas and David Hoffman for judging with myself. 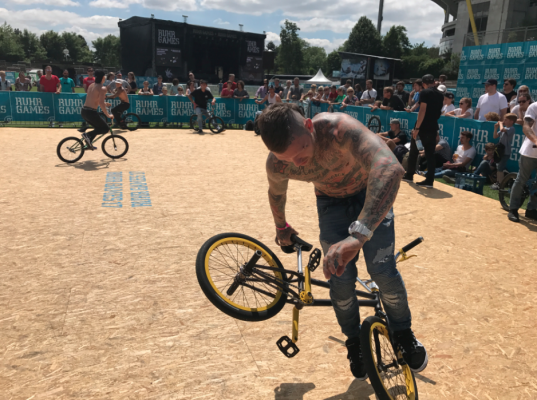 What a great weekend in Dortmund, Germany with the flatland community! The World Championships is next up at NASS, hope to see you there!